I’m very happy to share this post with you today. 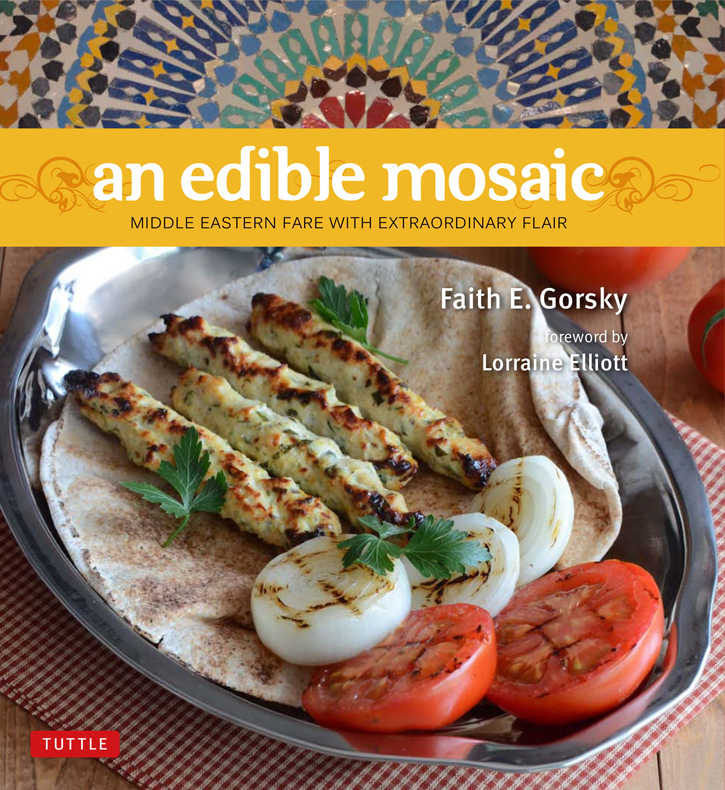 My friend, Faith Gorsky, of An Edible Mosaic has just released her first cookbook : An Edible Mosaic: Middle Eastern Fare with Extraordinary Flair (Nov. 6, 2012, Tuttle Publishing). This post is part of her official book launch party and we get to share a recipe from her book with you. Faith’s book has over 100 Middle Eastern recipes with a focus mainly on dishes from the Levant but there are also recipes from other areas of the Middle East. She fell in love with Middle Eastern culture after living there for six months and has since returned four more times, each subsequent visit increasing her appreciation and passion for the region. The authentic recipes in her book have been taught to Faith mostly by her mother-in-law, Sahar, but Faith has adapted them slightly for the way we cook today. Faith has made it so that dishes that we might be intimidated to try are now approachable and very easy to follow. 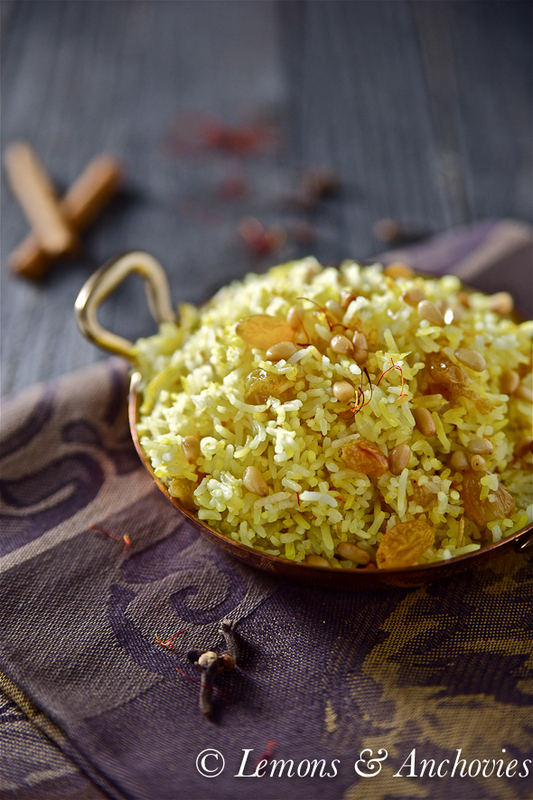 This Saffron Rice with Golden Raisins and Pine Nuts is a perfect example of the kind of dish you can expect to enjoy in Faith’s book. Rice is the cornerstone of Middle Eastern cuisine. In Faith’s version, fragrant basmati rice is infused with flavor from spices and elevated to extraordinary with the addition of raisins and pine nuts. 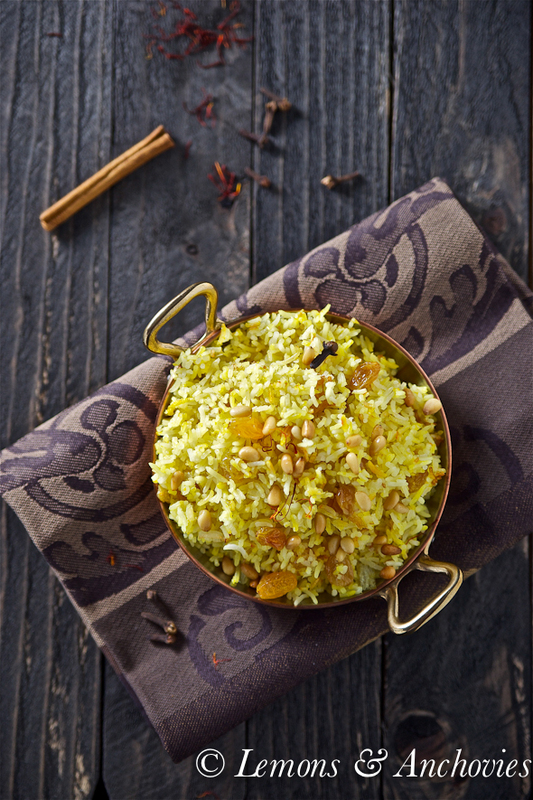 This Saffron Rice was a hit in my home–the balance of sweet and nutty combined with the essence of cloves and cinnamon and the color from the saffron made this not just a tasty dish but one not to be overshadowed by whatever main dish it is served with. Faith’s book is available for sale now at Amazon and Barnes & Noble. And be sure to visit her site to participate in her book launch party. Faith is hosting a giveaway with over $1300 worth of items! This is just one of over 100 delicious Middle Eastern recipes from Faith Gorsky's new book, An Edible Mosaic: Middle Eastern Fare with Extraordinary Flair. This is such a pretty dish! Love the raisin and nuts combo. Way to jazz up a boring rice. Faith’s book looks beautiful. It’s on my wish list! So happy to see you’re a part of Faith’s cookbook launch! I loved the saffron rice too and will definitely be making it again and again. Your photos of the dish are absolutely gorgeous! This is such an interesting recipe. It is great because these are not difficult ingredients to get and some are staples in my pantry! So excited about this book! The rice looks wonderful! I need to get my hands on this book, everything I have seen about it looks great! I am loving everything I’m seeing from Faith’s beautiful book. You’ve made this rice look absolutely beautiful, Jean! Hi jean ~ it is great to be a part of Faith’s book launch. That rice recipe totally rocks. Love the light in your photos too. So pretty! I’m so thrilled for Faith and her book, and this rice is gorgeous! Love your serving bowl and the delicate saffron threads! I’m glad to find you through Faith’s book launch. 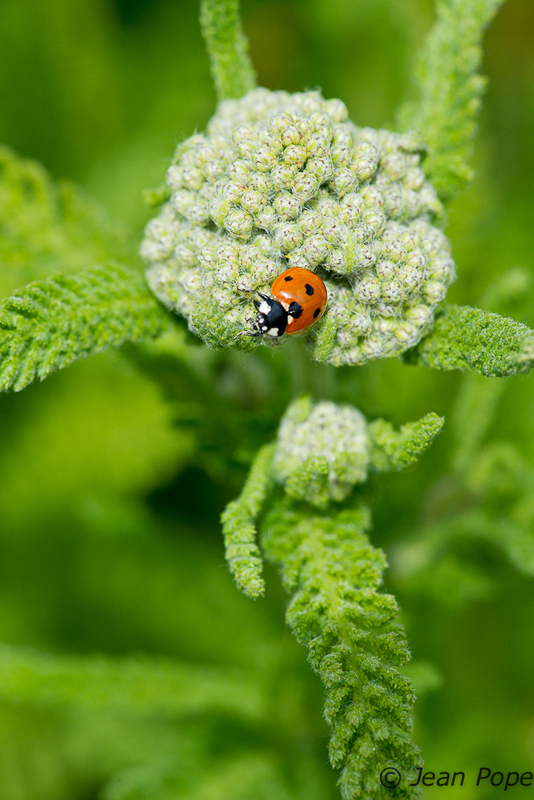 I love your dish that the rice is in – so pretty! I’ll be stopping by more often now. 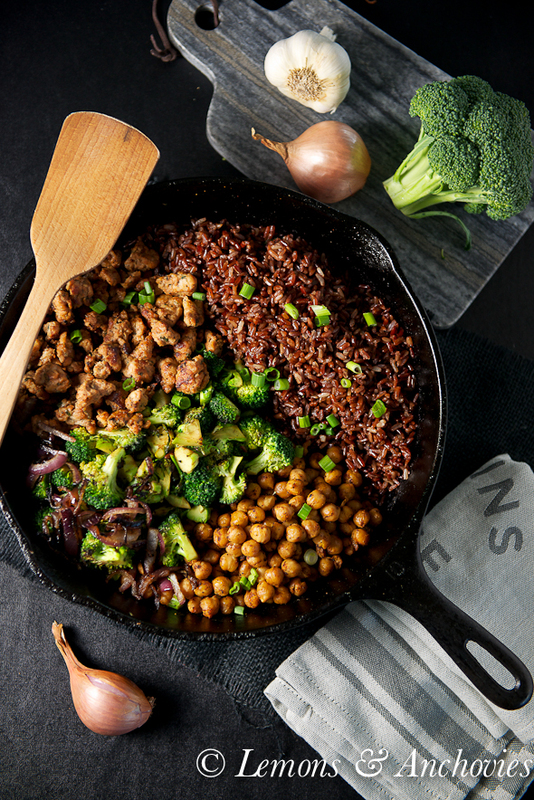 Such a beautiful rice dish…can’t wait to try it! And such a beautiful book! I’m definitely adding this cookbook to my holiday wishlist! Gorgeous presentation-I can practically smell the aroma of saffron through the screen. 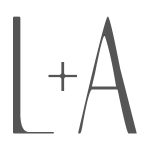 I just recently discovered Faith’s site (where have I been???). I love this beautiful saffrom rice! I actually just made saffrom risotto two days ago, so I’m on a saffron high. I actually have some left over strands, and I just might make this rice dish! Oh, then after the saffron risotto, I made turmeric basmati rice the following day. My family is just wondering what’s up with all the “yellow food” – ha! Such beautiful pictures, this must be gorgeous. Thank you! I’m visiting Faith’s page. That dish looks beautiful! (I am so excited about this cookbook…) Normally I am not a fan of raisins in savory contexts, but I am definitely a sucker for any dish that contains pine nuts. Lovely! Oh my gosh, I am seeing this book being publicized on so many blogs at the moment – it must be amazing. I love the rice dish and the photos. Yea for Fatih and I like how you captured the threads of saffron with the camera. So happy we could give her this support. What a beautiful dish Jean! That is so nice of you to help get the word out to everyone. I am sure the book is filled with lovely recipes. Love your photos!! I’ve commented on this recipe from others to the point where if I don’t eat it soon my head will explode. It looks really good and your photos are gorgeous as always. we loved this rice too! your photos are gorgeous! Your rice looks great! Love your pictures 🙂 It’s awesome to be a part of this party with you! 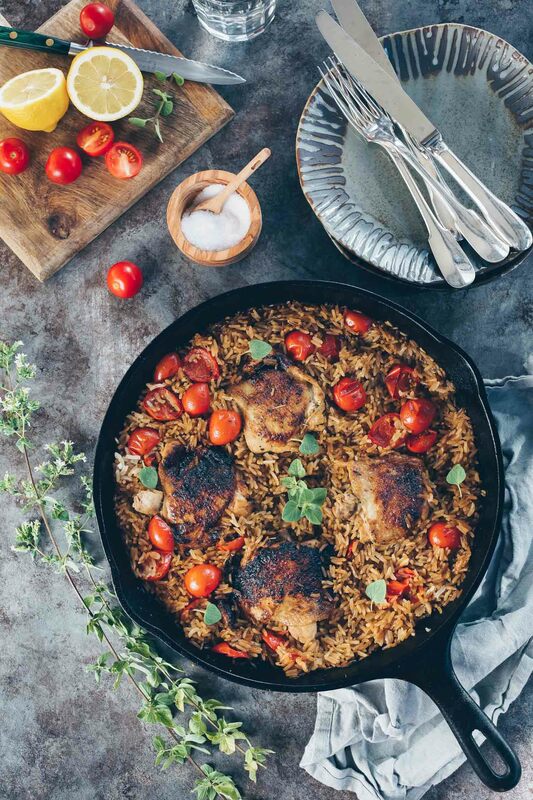 Loving the flavorful saffron rice from this cookbook, beautiful photos. 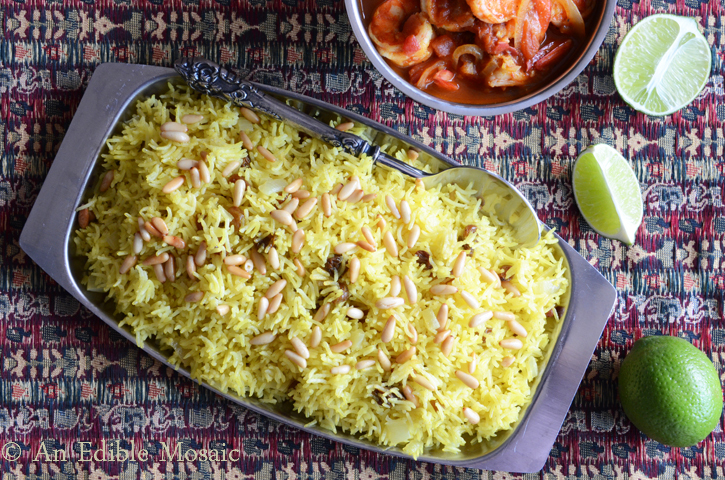 This rice looks wonderful; I absolutely love saffron! Gorgeous photos! I don’t know a single thing about Middle Eastern cooking and this seems to be friendly enough for a first recipe to try. I love saffron, basmati, raisins and pine nuts. I should go and try this! Wow… such a beautiful saffron rice. Rice has side dish image and I always feel it’s hard to take pictures of it, but you nailed it Jean! Simple food but GORGEOUS food!